Successfully letting a property requires a fair bit of planning and is becoming more popular throughout the UK. Before letting a property, it’s essential to understand your responsibilities as a landlord. 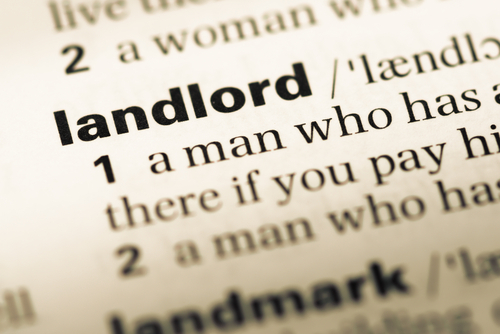 In this short guide, we’ll be exploring some landlord basics to letting a property in Swindon. It’s essential to have this agreement in writing as oral arrangements can lead to difficulties down the line. A formal, written agreement allows you to add ‘clauses’ that protects you legally and regulates how the tenant uses the property. For example, having a ‘no smoking’ or ‘no pets’ clause. The deposit protection scheme safeguards the tenants' deposit on the property, ensuring procedures are in place to sort out any problems at the end of the tenancy. All deposits must be placed into the authorised protection scheme within 30 days. Tenants must also be informed of how to apply for the release of the deposit along with other important information about disputing deposit payments. In accordance with the Landlord & Tenant Act 1985, section 11-17, all landlords must keep the structure and exterior of the property in repair. The includes flooring, walls, the roof and windows. The same goes for any repairs to plumbing, heaters, electric and gas. All safety checks on appliances need to be carried out every 12 months, with the necessary repairs paid for on any unsafe appliances. All gas checks must be carried out by a person on the Gas Safe Register. All this data must be recorded and a copy provided to your tenant(s). As an estate agent with experience in lettings, we also recommend creating a detailed inventory prior to tenants moving in. The ‘inventory’ is a comprehensive list of furniture, contents and fixtures in the property. This should be accompanied by a description of the item, including its age and condition. Inventories should be checked and signed by all parties. The above responsibilities are essential & legally binding requirements that must be carried out before allowing tenants in your property. There are additional considerations when letting a property such as fire safety, potential health and safety inspections and basic financial responsibilities. For more information on presenting your property to let please visit our landlord guide. If you are considering letting your property, but aren't sure where to begin, speak to Castles' expert lettings team. You can even arrange a free rental appraisal to get a detailed report containing information on projected income and relevant market trends and data. For a free rental appraisal in Swindon, contact us today. Letting a property is by no means an easy task, and you should never underestimate the amount of work involved. Most landlords will hand over the responsibility of finding tenants to a professional and reliable estate agent. This removes any long-winded negotiations with potential tenants as well as managing potentially hundreds of property viewings. At Castles Estate Agents, we work alongside hundreds of landlords to help them find tenants and maximise their potential rental income. Our letting agents will be able to successfully advertise your property to thousands of potential tenants who are looking to rent a property in Swindon. Our knowledge of the local market allows us to identify and target the type of tenants who will be interested in your property. For advice and guidance on letting a property, or to speak with one of our letting agents, call us today on 01793 61167. For further information and advice on letting a property in Swindon, navigate to our blog series on lettings. With guidance on starting out as a landlord, landlord responsibilities and relevant legislation for landlords. And, if you still have questions, give one of our expert lettings agents a call. We will be happy to help you. Welcome to the Castles Estate Agents & Mortgage Services Ltd Facebook Page. Please like our page to stay in touch with us regarding the latest property for Sale and to let in Swindon, competitions and events that we may be organising.